Clematis, 3 wins, R185,712, at 3 to 5, 1400 - 2000m, placed 3 times, inc. 2nd Off To Stud Handicap, (L). 1st dam Upwardly Mobile, 3 wins, R73,650, at 3 to 4, 1400 - 1600m, placed 11 times, inc. 3rd Diamond Stakes, (L), Half sister to EMCEE, SUPERIOR SERVICE; dam of 8 foals; 6 runners; 4 winners inc.: BADGER’S GIFT (00 f. by Badger Land (USA)): 8 wins, R722,690, at 2 to 6, 1200 - 1800m, inc. TBA Paddock Stakes, Gr.1, Diana Stakes, Gr.3, placed 16 times, inc. 2nd Odessa Stud Fillies Championship, Gr.2, Victress Stakes, (L), 3rd Tibouchina Stakes Gr.2, Prix Du Cap Gr.3, Riverworld Stud Prix Du Cap Gr.3. Clematis: see above. Grenadier (04 c. by Tara’s Halls (SNL)): unplaced in 6 starts at 3 to 4. Innuendo (98 f. by Best By Test (USA)): unraced. Loveumissumeanit (02 f. by Gold Press (USA)): unplaced in 1 start at 3. Flymetothestars (03 f. by Jet Master): 2 wins, R83,260, at 3, 1200 - 1600m, placed, from only 7 starts. Up And Running (07 c. by Tiger Ridge (USA)): winner, R60,630, at 2, 1000m, placed twice, from only 4 starts. 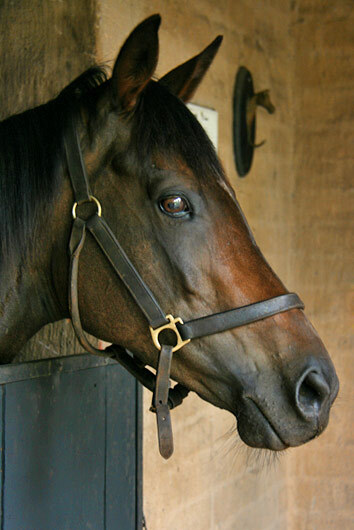 Social Climber (09 f. by Fort Wood (USA)): 2-y-o unraced. Family of London Fog, 10 wins, Spey Bridge Champion Older Horse. Right Prerogative ARCSA Champion 3 YO Colt, 5 wins incl Rothmans July Handicap Gr1, Natal Derby Gr2. Big Charles 10 wins incl Rothmans July H Gr1, Green Point Stakes Gr2, Alderman Abe Bloomberg Handicap Gr3, Ralph Price Handicap (L) Sire.